St. Andrew's-Sewanee School is the proud inheritor of a legacy of close to 150 years of private college preparatory education in Sewanee. The school is the result of the 1981 merger of St. Andrew's School (est. 1905) and Sewanee Academy (est. 1971). 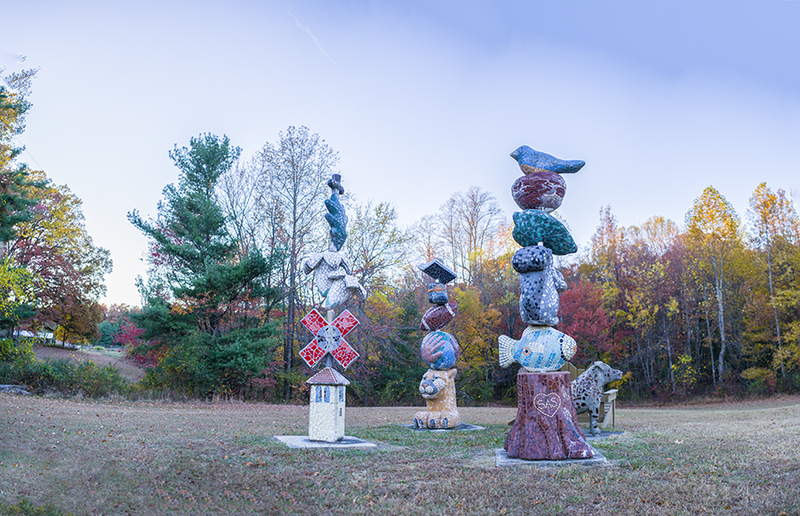 These schools were preceded by the Junior Department of the University of the South (1868-69), the Sewanee Grammar School (1869-1908), St. Mary's School (1896-1968), and Sewanee Military Academy (1908-1971). St. Andrew's-Sewanee has much of the character prescribed for the University of the South by its Board of Trustees in 1857: a close relationship with the Episcopal Church; a location in the central South (the Sewanee location was said to meet the requirement of "easy and speedy access" by train); a student body drawn from a wider area than the immediate community; distance from any city in order to create its own environment; and a location in a region considered healthy because of its height above sea level, and thus freer from the yellow fever, malaria and cholera prevalent in the lowlands. These factors were principal reasons, along with munificent gifts of lands, that Sewanee was chosen as the site for the parent schools of St. Andrew's-Sewanee. Collectively, the predecessors of St. Andrew's-Sewanee provided more than 250 years of education to Sewanee, to the South, and to the nation. A preparatory department at the University of the South was authorized by the Board of Trustees in 1861. Seven years of civil war and reconstruction passed before the University could open on September 18, 1868, one week short of a 10-year deadline imposed by the Sewanee Mining Company's gift of land in 1858. The nine students who presented themselves at the little frame St. Augustine's Chapel ranged in age from 12 to 19. All were taught that first year in the Junior Department. 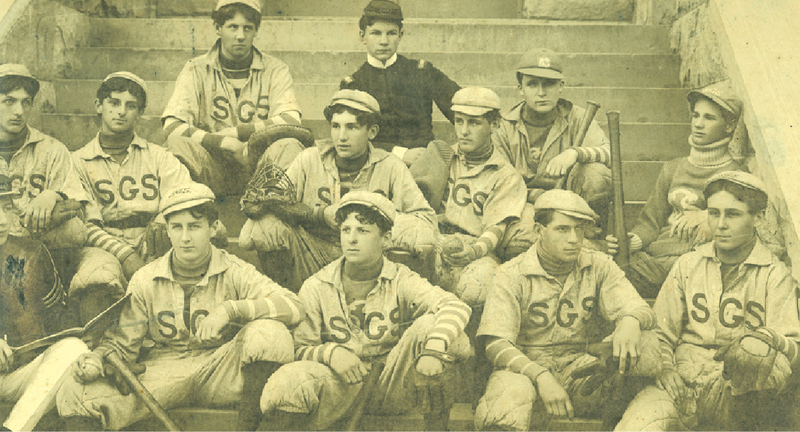 By the summer of 1869 there were enough students to organize the Sewanee Grammar School for younger boys. From 1902–1908, Quintard Memorial Hall served as the home for the Sewanee Grammar School. The next school to appear on the scene was St. Mary's, operated by the Community of St. Mary, an order of nuns headquartered in New York. The Sisters first came to Memphis in the 1870s and found the summer epidemics so devastating (four Sisters died in one summer) that a rest house was sought. 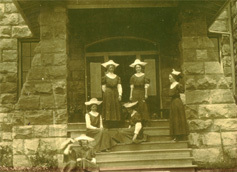 Two St. Mary's Sisters spent the winter of 1887 at Sewanee in the first Hodgson Hall, which had been built as a library but abandoned because of its distance from the center of campus. Soon a training school was opened for the mountain girls who did not have ready access to public schools. The Sisters moved to the present convent site and in 1926-1927 began high school classes. By World War II the high school was accredited as college preparatory, while improved roads and school buses made public schools more attractive to the mountain girls for whom the school was originally founded. Nearly 20 Episcopal mission churches served by seminarians were operated in the territory surrounding Sewanee at the turn of the century. Archdeacon William S. Claiborne brought members of the Order of the Holy Cross from New York in 1902 to preach at the missions. He persuaded the Order to provide an education for "deserving mountain boys who (because of the isolation of their homes in the coves and hollows) might not otherwise have been able to obtain one." Claiborne bought the Robert Colmore farm and gave it to the Order. The name "St. Andrew's", came from the mission church at Tick Bush. On September 12, 1905, St. Andrew's School opened with four pupils. By the end of the school year there were 14 boarders and seven day pupils. Father Louis Lorey, O.H.C., conducted religious instruction, taught ABCs, and then went out to the kitchen and peeled the potatoes and cooked the dinner. There was work in the morning, an hour and a half of school after lunch, supper at 5:30 and prayers at 7:00. 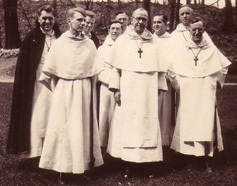 The high school department was opened before World War I by Father Robert Campbell, O.H.C., who later became Bishop of Liberia. The first chapel was in the Colmore farm house, with the present chapel completed in 1915. Eventually the primary department was discontinued, and high school accreditation came in 1932. The Sewanee Grammar School changed its name in 1908 to Sewanee Military Academy, continuing the military influence which had disappeared from the College. Located for a time in a large frame building on the site of Elliott Hall, the school moved to Quintard Memorial Hall in 1902. Named for the Vice-Chancellor under whom the Sewanee Grammar School opened, Quintard was reconstructed after a disastrous fire in 1919. It was the major building at the Academy until Gorgas, Cravens, and Hamilton Halls were built in the 1950s and 1960s. Over the years, SMA's headmasters included three generals–Josiah Gorgas, Chief of Ordinance of the Confederacy; William R. Smith who was superintendent at West Point; and George R. Allin, retired brigadier general of the U.S. Army. A strong move in the 1960s towards the establishment of parish day schools in the areas traditionally served by St. Mary's, St. Andrew's and Sewanee Military Academy and the growing popularity of co-educational schools affected enrollment on the Mountain. In 1967, the Community of St. Mary withdrew from the school and, shortly after, St. Mary's School closed. In 1968, the University opened SMA to girls. 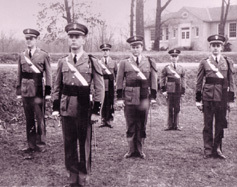 These students wore uniforms, but did not participate in military exercises. Finally, in 1971, the military was abandoned altogether, and the school became Sewanee Academy. In that same year, the Order of the Holy Cross, wishing to become more mobile in its ministries, gave St. Andrew's School to an independent board of trustees. The two schools became more alike–one no longer military, one no longer operated by a religious order, both coeducational. Consolidation was discussed as early as 1977. 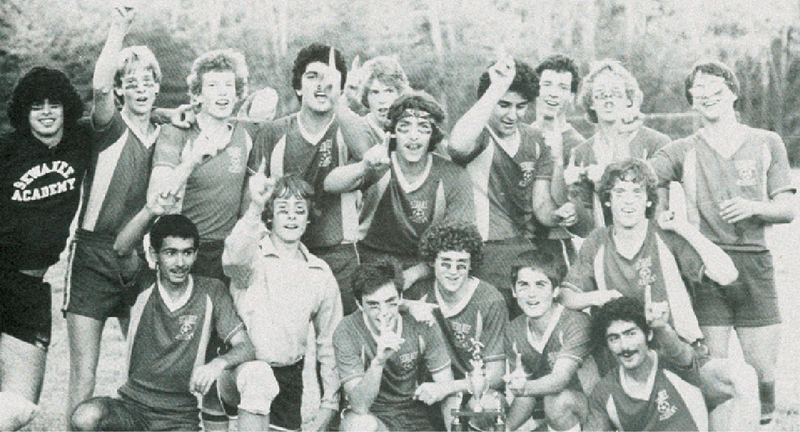 Merger came in 1981 on the St. Andrew's campus.